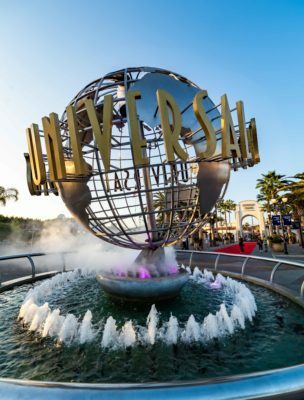 UNIVERSAL CITY–Starting Tuesday, Universal Studios Hollywood’s popular California Neighbor Pass returns, inviting guests to enjoy over 175 select days of fun for $149. The California Neighbor Pass is a must-have for anyone looking to enjoy limitless entertainment exclusive to Universal Studios Hollywood, including the all-new “Dark Arts at Hogwarts Castle” at “The Wizarding World of Harry PotterTM” this April and the highly-anticipated “Jurassic World—The Ride” opening this summer, as well as the theme park’s many exciting thrill rides and attractions. More information about the California Neighbor Pass and other Annual Pass options, are available at www.UniversalStudiosHollywood.com/tickets. Blackout dates and restrictions apply. Like Universal Studios Hollywood on Facebook and follow @UniStudios on Instagram and Twitter.